TV Land has just ordered the tv pilot for the popular web series Teachers. The show revolves around six elementary school teachers who are trying to mold the minds and lives of America’s youth, but they don’t really seem to have their own lives together. From making their class help them stalk exes online to altering a grade because the art teacher is “kind of a b****,” these teachers are certainly changing the world, one student at a time. Alison Brie (Community) is attached as an executive producer, and the stars of the web series, all named a version of “Katie” – Caitlin Barlow, Katy Colloton, Cate Freedman, Kate Lambert, Katie O’Brien and Katie Thomas – are all signed on to reprise their roles. The actors who call their group The Katydids, are all from Chicago with experience at The Second City, The Upright Citizens Brigade Theater in New York and iO West in Los Angeles. 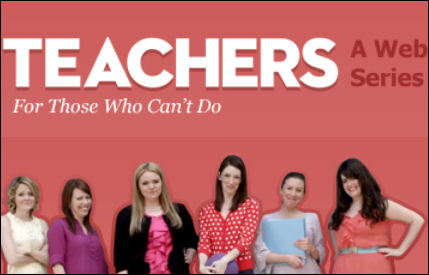 Their web series, “Teachers,” can be watched at TeachersWebSeries.com.